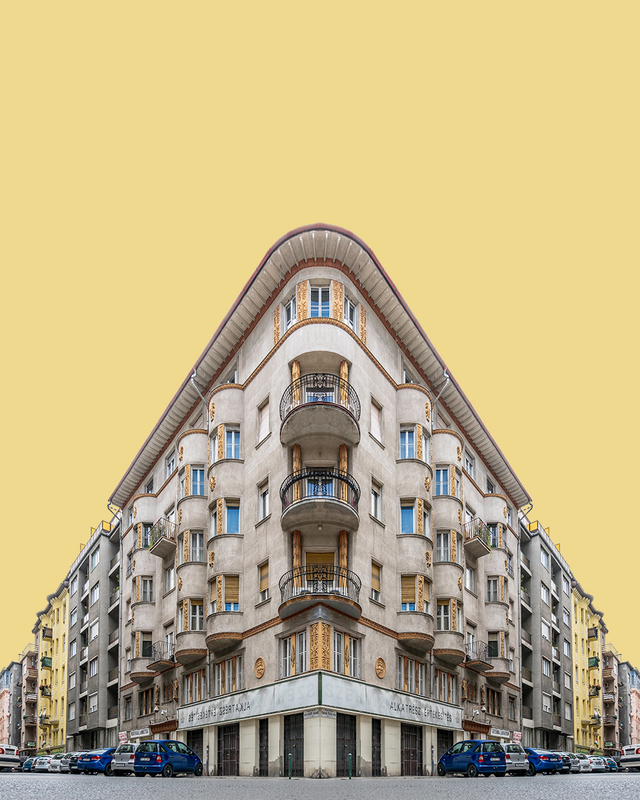 From Zsolt Hlinka's Corner Symmetry series. 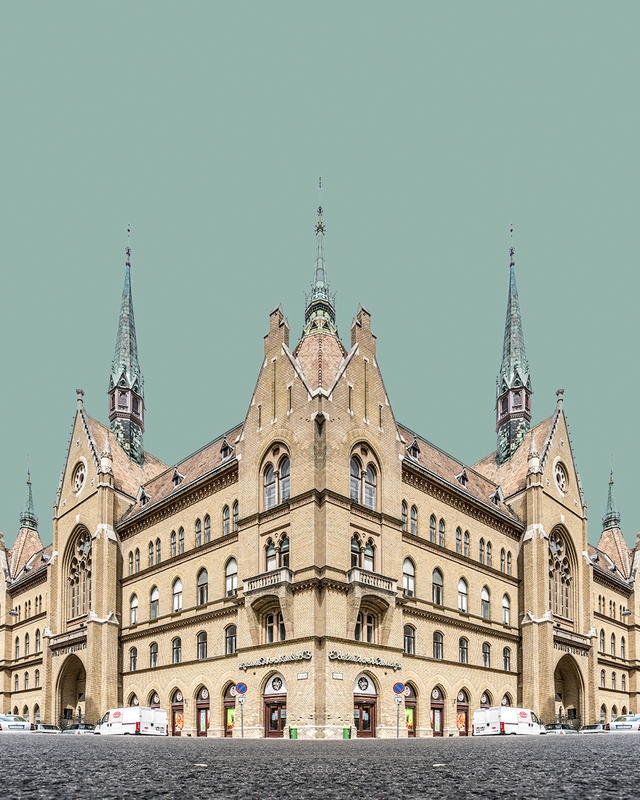 For Hungarian photographer Zsolt Hlinka, the streets of Budapest hold a hidden allure. 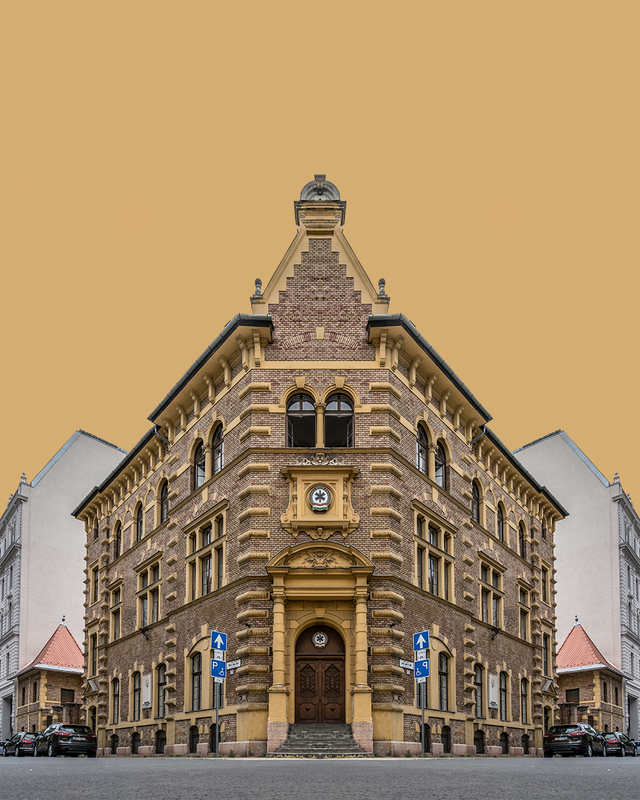 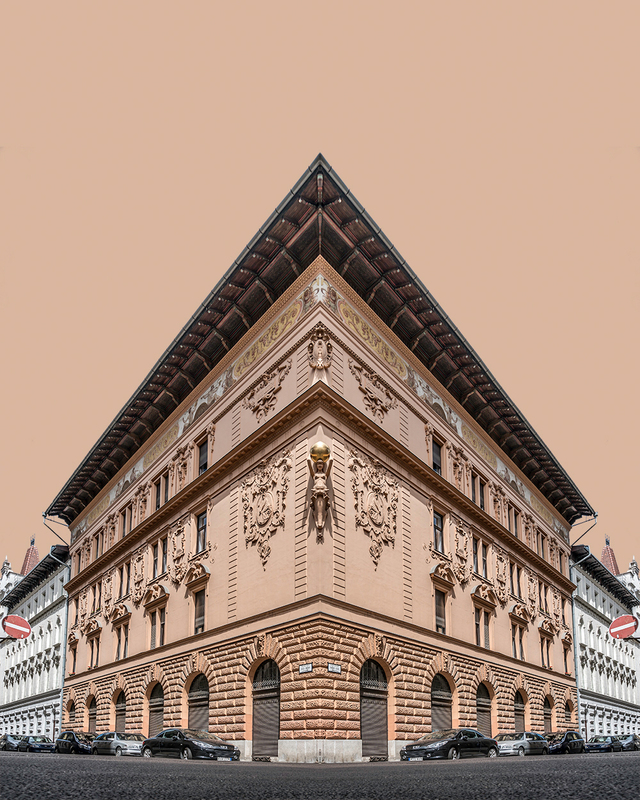 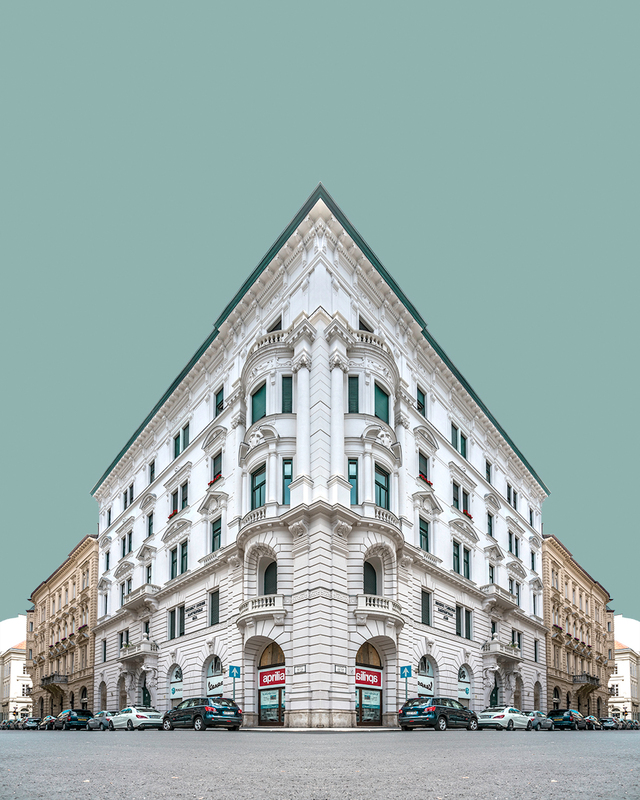 His latest series, Corner Symmetry, uncovers the symmetrical balance and beauty in the city’s historic buildings: using an extreme 2-point perspective and digital manipulation to create perfect mirror images. 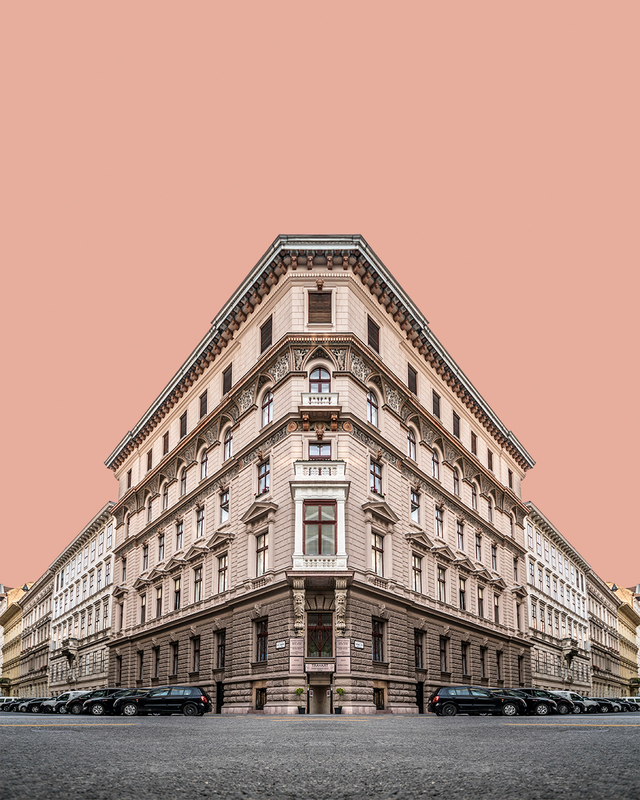 Each shot is crowned with a pastel-coloured sky, giving a surreal edge to this new and engaging view of Hungary’s historic capital. 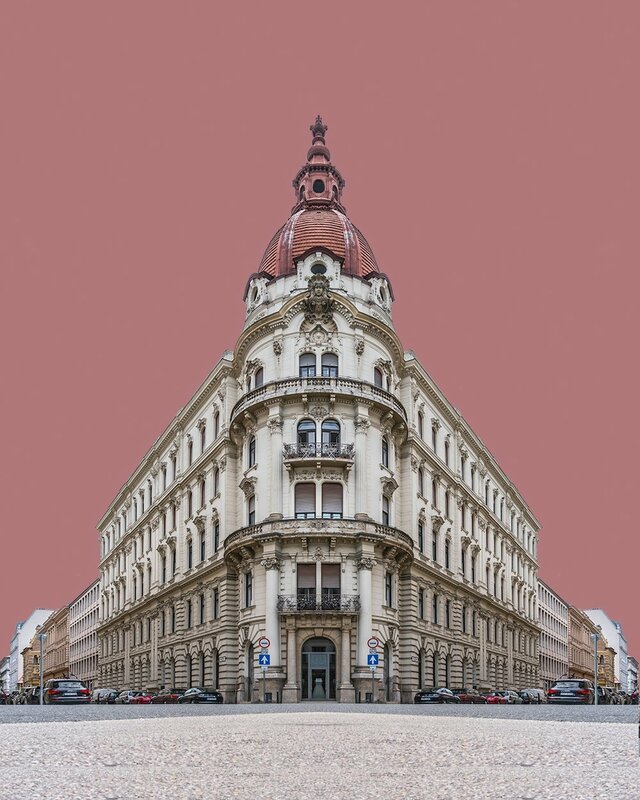 For more information, or to see more of Hlinka's work, click here.